“New generation, against the traditions, is working effectively on fresh ideas and their work must be brought to view,” this was stated by Abbas Hashmi in an interview, who earlier announced a short film competition “Heroes of Pakistan” during the last week of August. “Heroes of Pakistan” is initiated by SoundView, a prominent broadcasting company in America that distributes Pakistani and international channels there, and Green Card Capital, an investment company, Abbas Hashmi is the Chief Operating Officer of. This is the first ever edition of the competition. It has invited entries of short films of 1-5 minute duration. Competition is opened since 1st September, 2013 and the submission deadline is 31st October. 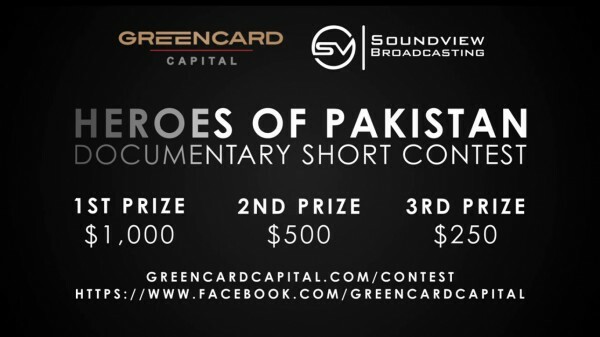 Film makers of 18 and above age from all over Pakistan can participate in it by getting information from www.greencardcapital.com. They have also given a Film Contest Promo Video for having an idea what kind of films can be made for the competition along with rules and regulations. The competition theme is “No Pain, No Gain”. The 1st, 2nd, and 3rd prizes are 1000 $, 500 %, and 250 $ respectively along with opportunity of production, and internship in the leading international channels run by SoundView in America. “We usually find a hero in sports or showbiz but anyone around can be a hero if he/she has inspired us in one way or the other”, said Abbas Hashmi, talking to the press conference. Hero is a man/woman who has a deep effect on our life or personality, and can be an ordinary one and we want to attain the same height of character and/or fame, he/she has. Showbiz and sports celebrities are used to be the hero of millions but a friend, family member, acquaintance, mentor etc. is very rare to be someone’s hero. Heroes of Pakistan is actually homage to such unsung and anonymous great personalities. Film and idea must be original with a solid lesson; in English, Urdu, or any other language (English subtitles will be a plus point); shot on High Definition video format; and suitable for family audience. Heroes of Pakistan is an innovative idea never given before, providing a podium to youngsters who want to do something. Moreover, the top three lucky winners’ films will be on aired on international TV channels. This is a great motivation for film makers to not only participate in the competition but also work more and more creatively and brilliantly. Film production, whether a tele – film or feature length, is a game of millions and involves of crew of hundreds which is quite impossible without a huge investment or funding by corporate sector. 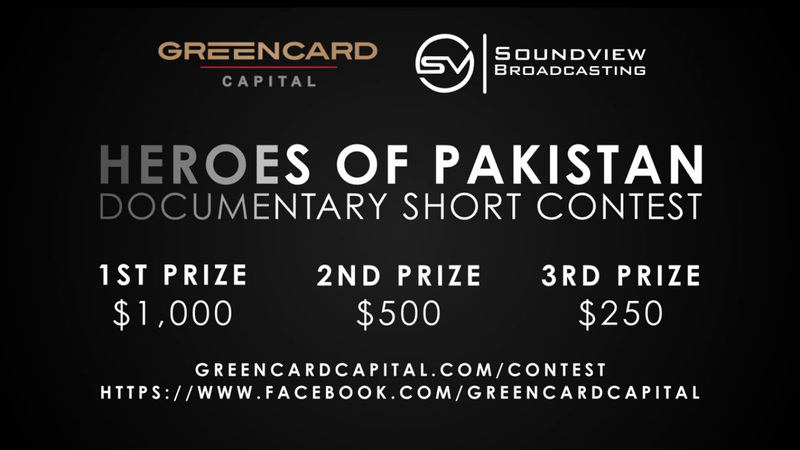 In these circumstances, short film competition like Heroes of Pakistan is a superb occasion for our aspiring film makers, giving them a chance to showcase their work and fulfilling the desire of film making as well with a small team and low investment. Let’s see what kind of heroes our film makers bring into view in their own way and who are going to win the competition to become the real hero!